The Prometheus Group®, established in 1989, is a privately held service disabled veteran-owned small business headquartered in Dover, New Hampshire. 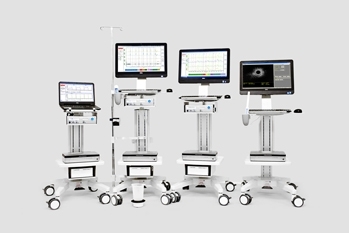 We specialize in the design, development, manufacture, and sales of EMG, Manometry, Stimulation, Urodynamic/Uroflowmetry and Ultrasound for Colorectal Surgeons, Physical Therapists, Speech Therapists, Urogynecologists and Urologists. Our team takes pride in providing exceptional products, customer service, and unparalleled technical support. 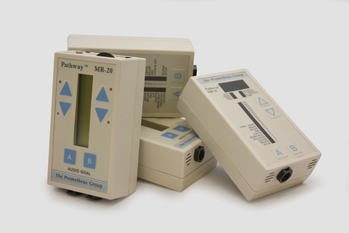 The Prometheus Group® is home to many well-recognized brands: Morpheus® Urodiagnostic, Anorectal Manometry with Paradoxical EMG, Pelvic Muscle Rehabilitation and Ultrasound Systems, Pathway® CTS 2000 and 1500 Pelvic Muscle Rehabilitation Systems, Pathway® DUO for Pediatric Voiding Dysfunction, Pathway® MR Series EMG Systems, Primus®, Synergy® 3-Dimensional and Telesis® Software, Pathway® NMR 400 Quad Channel EMG System, Pathway® TR Series EMGs, Pathway® STM-10 Vaginal and Rectal Intracavity Stimulator.